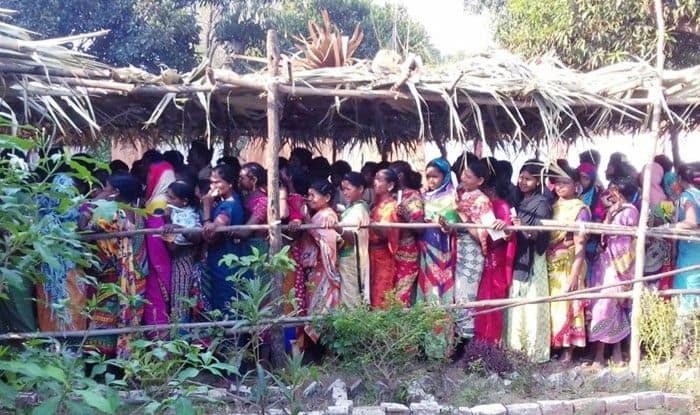 Voters, mainly from insurgency-hit forested villages in Chhattisgarh’s Bastar Lok Sabha constituency, on Thursday defied the Maoists’ boycott call to exercise their franchise as polling ended with an estimated over 50 per cent turnout. A total of seven candidates are in the fray for the Bastar seat, won by the Bharatiya Janata Party in the last six parliamentary elections, but the main contest is between BJP’s Baiduram Kashyap and Deepak Baij of the Congress. Female voters outnumbered men in the interior areas where polling began at a brisk pace while urban and semi-urban areas witnessed sluggish polling. The polling came two days after the brutal killing of Bhima Mandavi, the BJP legislator from Dantewada assembly seat – a part of Bastar Lok Sabha constituency – on Tuesday.